West Ham United will decide on the future of manager Sam Allardyce within the next 10 days. The decision will follow an end-of-season meeting held between Allardyce and the club's board. They will now consider the manager's plans for next season before opting what course of action to take. 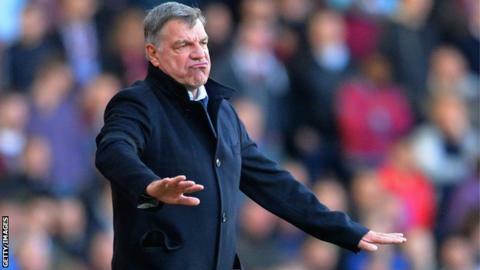 Allardyce, 59, led the Hammers to 13th place in the Premier League but has faced criticism from some supporters who want him replaced. However, captain Kevin Nolan believes the club has a positive future under Allardyce and described speculation over the manager's future as "crazy". Nolan, who also played under Allardyce at Bolton and Newcastle, said: "The pressure on people is enormous and that's something the gaffer's got to put up with. "I'll be very disappointed if he lost the job and the boys in the dressing room will be very disappointed for what's he done this year and to make sure this club remains in this league again. "Hopefully Sam's going to keep his job and be able to do what he's done and recruit in the summer and bring people in. "He's got the vision and he's got to make us believe his vision. "If we all get behind him - chairman, myself, players, the fans - together we will be in for a successful future for this club."